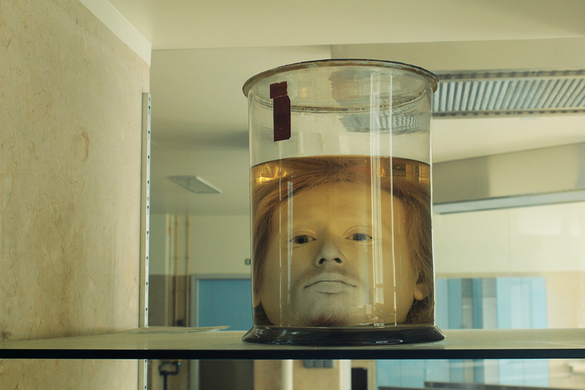 The first thing you’ll notice upon entering the anatomical theatre at the University of Lisbon’s Faculty of Medicine is the lone pickled head, up on a shelf next to a diaphonized hand. It’s yellow, peaceful-looking, and somewhat akin to a potato. The various physicians and anatomy technicians in the preceding hallway all address it with a mix of familiarity and indifference. It’s just there, really. 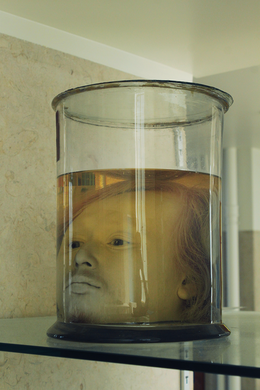 Just the head of Diogo Alves, whose claims to fame include being both Portugal’s first serial killer and the last man to be hanged. At least one half of each claim is true. Diogo Alves was born in Galicia in 1810 and traveled to Lisbon early in his life, where he soon took to a life of crime. He would stand on a 200-foot-tall aqueduct awaiting farmers who were commuting back from the city at night, divest them of their gains by whatever means possible, and unceremoniously push them to their deaths. Alves repeated this sequence 70 times in the three years he was active in the Aqueduto, but eventually moved on to robbing homes and murdering their occupants. Eventually he was apprehended, tried, and executed. But why is Alves’ head in a jar? Timing, most likely. Alves was executed in 1841, as phrenology was just beginning to rear its ugly head in Portugal. We recognize phrenology as a pseudoscience today, but back then its premises were simple and its conclusions downright revolutionary: the brain housed all aspects of an individual’s personality in physically distinct areas, and the shape of the skull reflected this internal organization. Personality traits, criminal propensity included, could be felt, palpated and measured right on the individual’s skull. It is no surprise, then, that a notoriously wicked corpse would draw the attention of Portugal’s budding band of phrenologists—who requested Alves’ head be severed and preserved for posterity, so the source of his criminal urges could be studied in depth. This part of the university is only open to students and is not typically accessible by the public.